Liana is a beautiful pet-friendly three bedroom, two bathroom home located in the lovely community of Calabay Parc. 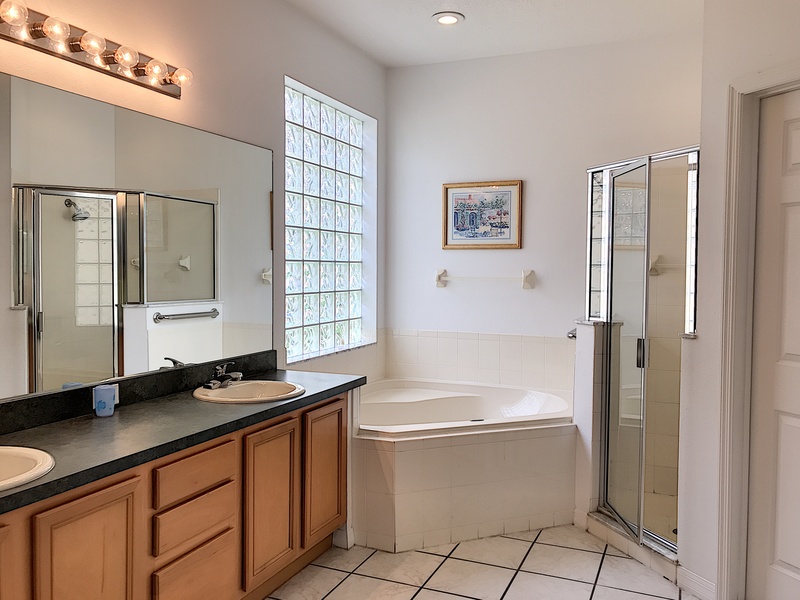 It features a master bedroom with private bathroom and garden-style tub, plus separate shower. The second and third bedrooms each have a set of twin beds, and share a full bathroom, conveniently located in between. This home also has a breakfast nook as well as formal dining room, fully outfitted kitchen, and a separate utility room. 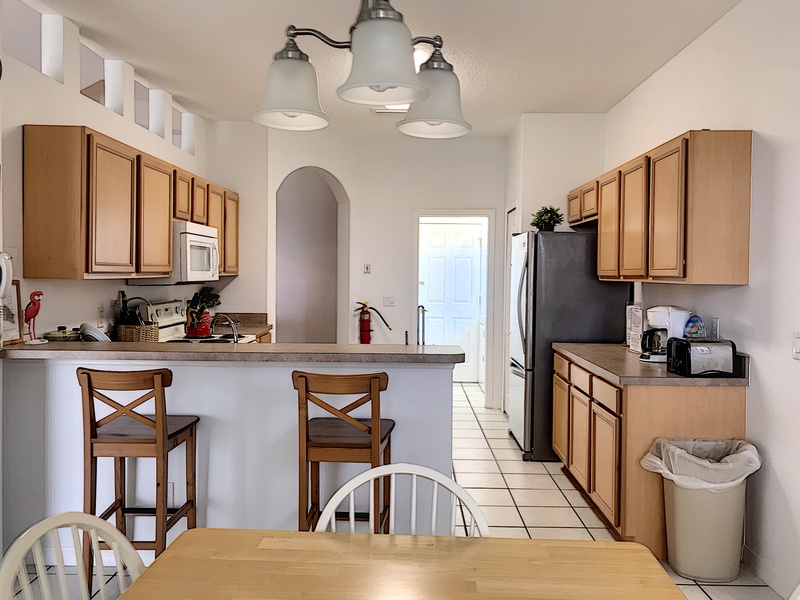 The home is well equipped, including a full-size washing machine and dryer, bed linens, towels, pots, pans, dishes, flatware, and cooking utensils (plus iron, ironing board and vacuum cleaner). Cable TV and telephone (local calls are free) are provided. The pool is backed by a woodland-view, for added privacy while you swim or relax on the patio. The pool also has a Jacuzzi spa and an attractive patio area with table & chairs. 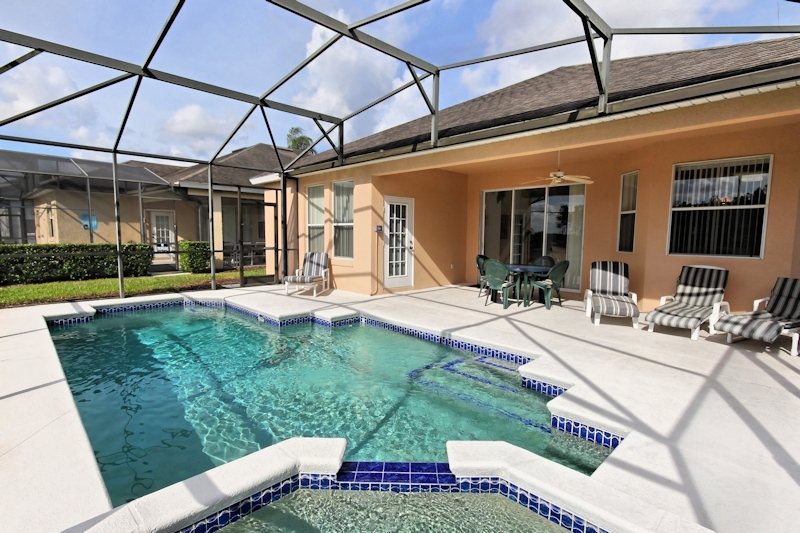 Located close to Interstate 4, off Hwy 27, Liana is conveniently located near all the area's major attractions. Disney is just a short drive away! Dining, shopping, golf are all within just a couple of miles. Big home with a pool! Very nice location. Quiet neighborhood. Private enclosed pool area and patio were wonderful. We had a great time. The house was beautiful and in a great location. Very nice place. Nice neighborhood. Nice pool and hot tub out back. Very clean. The lights were on waiting for us to arrive. Tons of great restaurants right down the road. Close to Disney. We were looking for a place to stay that could accommodate our large family (3 teenagers) for a relaxing few days (5/2017). This property was perfect. Upon arrival the house was immaculately clean. The pool had just been cleaned right before our arrival. Very important as we had just heard of a lot of cases of a bacterial infection going around obtained from dirty pools. The rooms spacious. The beds and furniture comfortable. The kitchen is fully stocked with all you would need. Plenty of plates, cups, utensils, wine glasses, pots, pans, etc.... Plenty of towels in all of the closets. There were extra pillows and blankets in all of the rooms. There is a large size washer and dryer. Which was great we were able to wash all of dirty clothes before heading home. The owner is very attentive and quick to reply back to our emails. One of the screens was broken we reported it to the company managing the property and it was fixed right away. The neighborhood is quiet, has 2 parks for the children to play in. 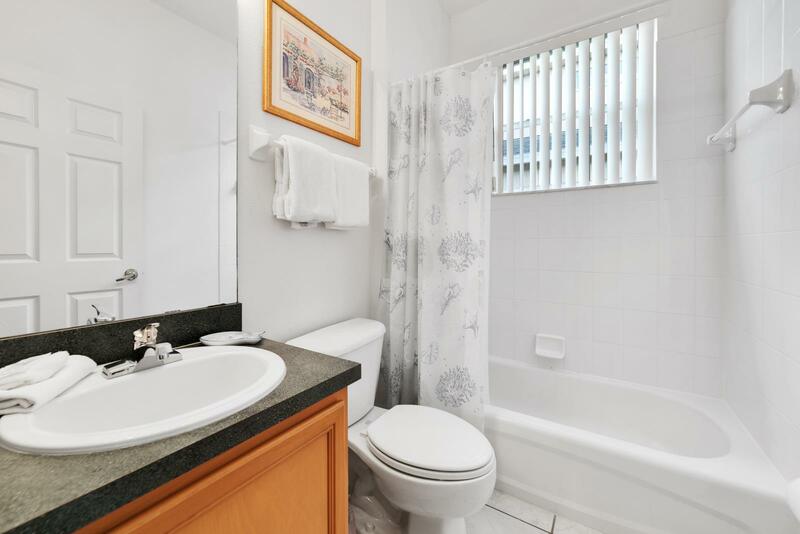 The pictures of the property were recently updated and are true to what you walk into. There is a Walmart about 5 miles from the house and a Publix about 3 miles. Plenty of gas stations and restaurants near by. About a 30 minute drive to the Disney parks. Our stay was awesome, I would highly recommend this property. We are looking forward to staying there again. "5/5! We absolutely enjoyed your house. The pool was fantastic and everything else was great. It was close to all the attractions. 20 minutes from Disney 35 minutes from Universal and 25 minutes from outlet shopping. I can't fully describe how pleased we were with your vacation home. We will definitely use your home again next time we come back to Florida. We were very pleased and I appreciate you accommodating our early flight and not charging for that extra day. I have passed on your house info to one of our family members for their visit later this year." 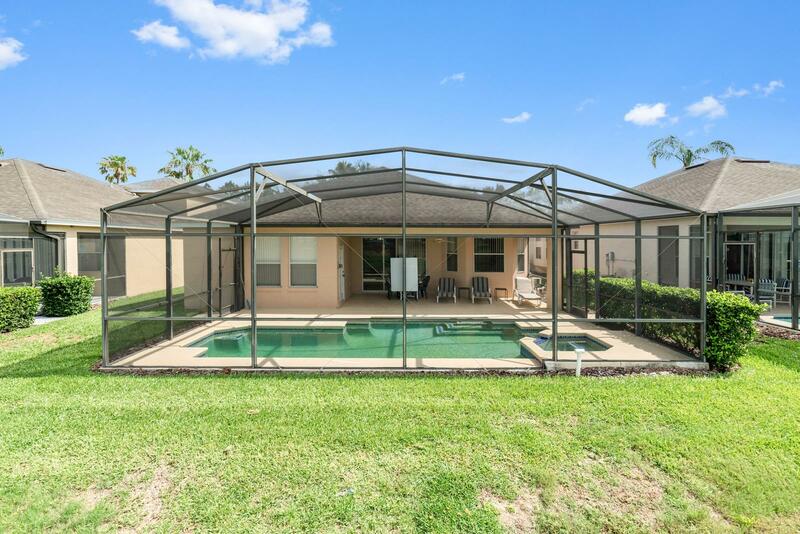 "The house was everything that was presented---our family just loved it - the pool and hot tub was wonderful after a full day of disney world. Everything was provided - it was just a great experience! Thanks.."
"First and foremost let me put you at ease by saying if you have any doubts about booking this home as you've never done an online transaction like this before and don't know the owners, etc etc you can toss them out the window. From the moment you book, Chris is fantastic and contacting you and answering any and all questions you may have. I have to say that this has been the most professional dealing with a person that I have ever encountered. From the moment you enter through Champions Gate any other doubts about the locality or whether or not the home is as nice as it looks in the pictures will also go out the window too . 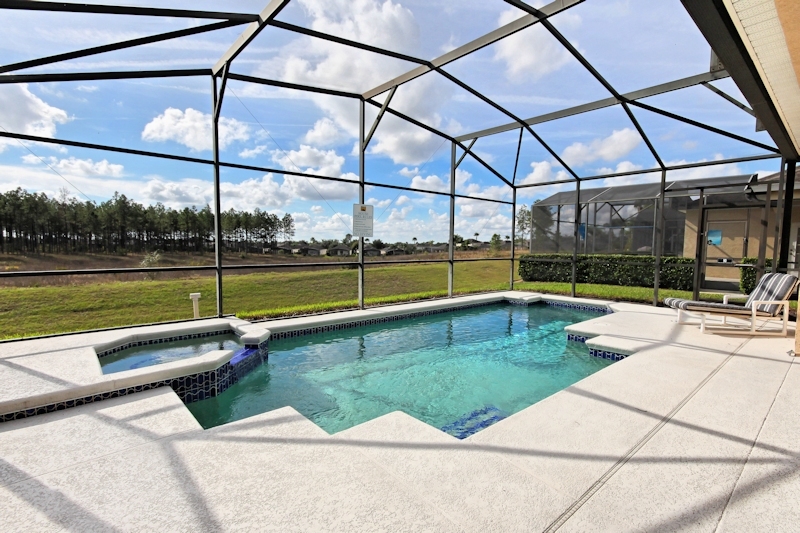 The home is in a beautifully landscaped gated community and you will feel very very safe. The home is just as beautiful and immaculately clean as it looks in the pictures. 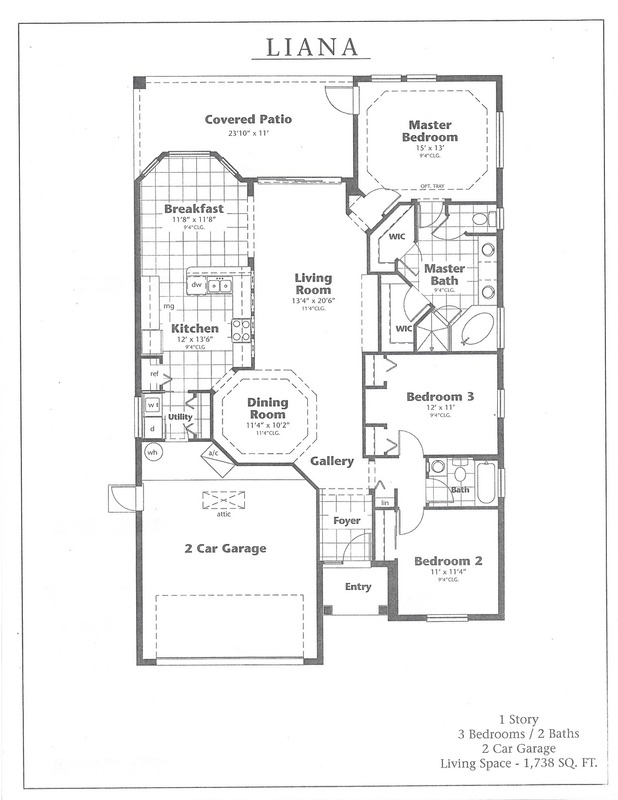 It also has a master bathroom in each of the master bedrooms which is good because my boyfriend and I went with another couple and I was feeling bad that we were taking dibs on the master bedroom with the masterbath, lol. My favorite feature was obviously the pool and the hot tub. There's nothing better than having your own pool and hot tub that you can use at any time. It doesn't close and doesn't have hundreds of screaming people and kids using it like they do in hotels! I had my glass of wine while soaking in the hot tub and there's nothing better nor more relaxing than that. Any and every question that you have will be answered the minute you walk through the home. Even the light switches are labeled so you know exactly which light or fan you are turning on or off. I can go on and on about how Chris and Maureen have every minute detail covered in this home but I'd be here forever. It's about a 10 minute drive to the Disney and SeaWorld themed parks and about a 15 minute drive to Universal Studios. There is a Publix Supermarket/Walgreens/PNC Bank down the road from the home as well as a Chili's. Everything about this home is fantastic! 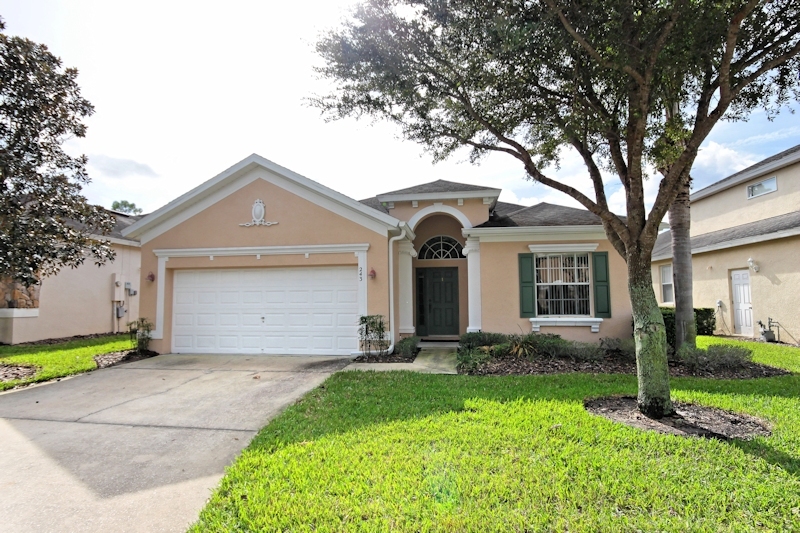 I would highly recommend this home to anyone traveling to Orlando, disney/univeral/seaworld. Thank you so very much Chris for your kind hospitality and professionalism. And thank you for helping make our stay wonderful and memorable!!!! Until next time...."